Could the two best fighters in women’s MMA be headed for a showdown? Ariel Helwani of ESPN.com reports the UFC is looking to book the superfight between featherweight champion Cris Cyborg and bantamweight titleholder Amanda Nunes for UFC 232 on Dec. 29 at T-Mobile Arena in Las Vegas. 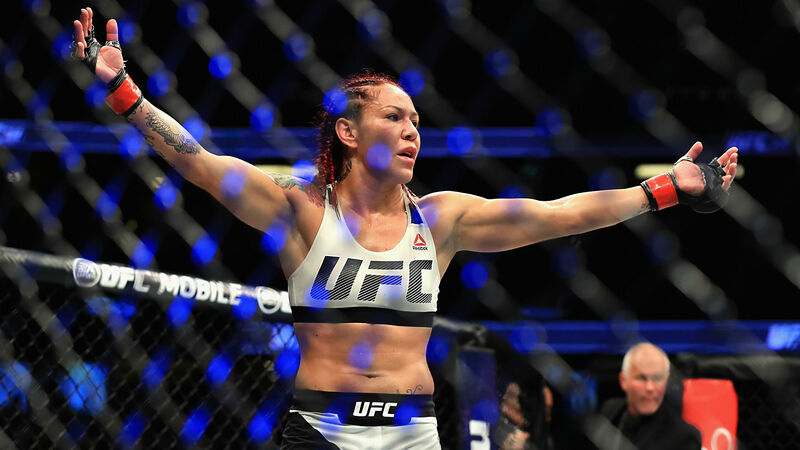 Cyborg said Wednesday afternoon that she agreed to face Nunes for her title at UFC 228 on Sept. 8; on Wednesday evening, Nunes revealed a signed agreement for the bout to happen at UFC 232. Cyborg is considered the best women’s fighter in the world; she’s unbeaten in 21 fights, with 18 of those wins coming via stoppage. She won the vacant title by third-round TKO over Tonya Evinger at UFC 214 last July. Most recently, she defeated Yana Kunitskaya by first-round TKO at UFC 222. Nunes (16-4) would be looking to become the third fighter in UFC history to hold two titles at the same time. She has won seven consecutive fights, including first-round stoppages over Ronda Rousey and Miesha Tate. In her last outing, Nunes beat Raquel Pennington by unanimous decision.